Being one of the most amazing tropical destinations, Bali is certainly a place well worth a visit. But when is the ideal time of the year to visit Bali? Read on to know the answer. Blessed with a wealth of stunning beaches, breathtaking landscapes and a plethora of attractions, Bali is certainly a paradise. The equatorial location gives the island a warm temperate climate all year around. Like many other tropical destinations, Bali has two seasons, the dry and the wet. 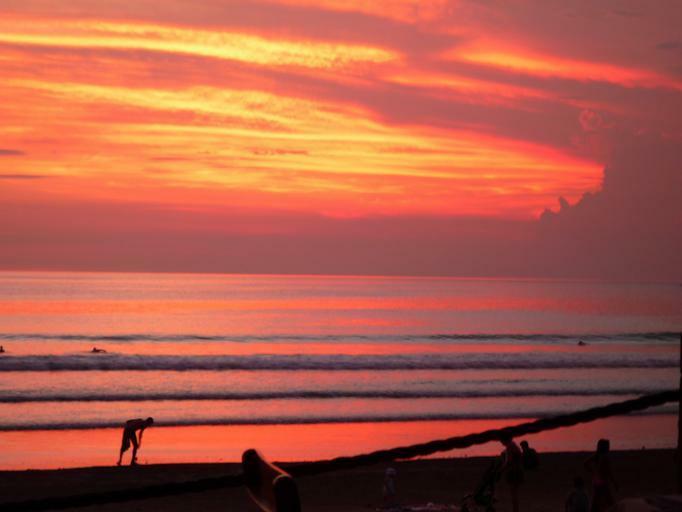 The Dry season is the most ideal time to visit Bali if you are a beach bum. Also, this is the time of the year tourism in Bali will operate in full swing. it extends from May through September and the humidity level is low throughout the dry season. Rain isn’t that bad in Bali and it is often mild when comparing with Rain climate in other parts of Asia which has downpours during the monsoon seasons. The rain clouds move through with incredible speed; it could rain for a while and a few hours later you could see clear skies. If you wish to beat the crowds and looking for a tranquil and relaxed vacation experience then this might be the ideal time to visit Bali. Though there are two seasons, the temperature in Bali doesn’t drastically increase or decrease. It tends to be in the middle a bit towards the warmer side. It is possible to travel to here during both of these seasons and the travel experience will differ depending on which time of the year you are planning to visit. Bali Beach Resorts the likes of Anantara Uluwatu Bali Resort might be a good option to consider for your stay since they offer exclusive services regardless of the time you choose to visit the island paradise.